There was a time when one couldn’t be sure what time it was in the next town. Like most of the US population, once a year I find myself stumbling around the house on a Sunday morning, short an hour’s worth of sleep. As a kid, I embraced the act of turning the clocks ahead – it meant more time out riding my bicycle or playing down the block with my friends. Today, I’d much rather get that extra hour of nods and winks. The history of Daylight Saving Time (DST) is actually quite interesting… and complicated. DST was first introduced during WWI in an effort to conserve the fuel needed to produce electric power. The first adopters were Germany and Australia at 11 pm on April 30, 1916. Other countries, including France, Italy, Sweden and Britain, soon followed suit. 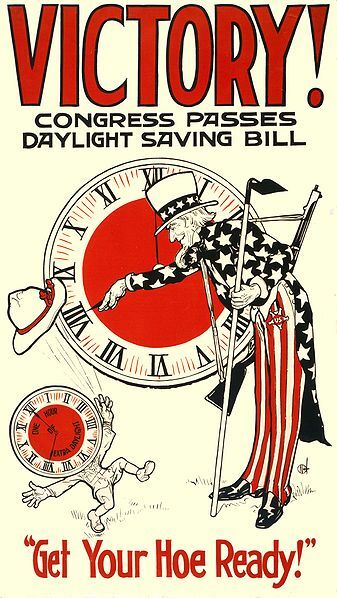 The US enacted “An Act to preserve daylight and provide standard time for the United States” on March 19, 1918, and the first DST in the US occurred on March 31 that year. DST in the US was quite unpopular, primarily because, back then, most people went to bed and woke up much earlier than we do today. In 1919, the act was repealed and DST became a local option. The states of Massachusetts and Rhode Island continued its use, as did the cities New York, Philadelphia and Chicago. During WWII, President Franklin D. Roosevelt instituted a year-round DST system called “War Time”. This lasted from February 9, 1942 to September 30, 1945. From 1945 to 1966, DST was again an option. With localities free to choose not only whether or not to enforce time saving, but also when it would start and end, there was a great deal of confusion. Several industries, including broadcasting stations and transportation systems had to publish new schedules every time a state or town began or ended DST. 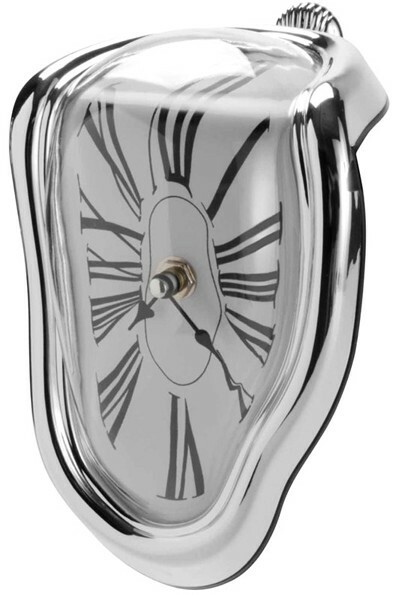 During the ’50s and ’60s there was widespread confusion about time. People missed church and doctor appointments and executives missed meetings. All because of non-standardized time changes and lack of a uniformed agreement. The Interstate Commerce Commission – the nation’s timekeeper – couldn’t decide what to do. The bulk of businesses supported standardization, but farmers were opposed. Governments argued based on local conditions. The Committee for Time Uniformity, however, surveyed the entire US. It interviewed telephone operators to learn about time observances in localities. The result? It was all a confusing mess. The committee then discovered that on a 35-mile stretch of highway between Moundsville, WV and Steubenville, OH, a traveler would experience seven time changes. This helped the committee rally – successfully – for public support. By 1966, the bulk of Americans were observing some schedule of DST, so Congress established one pattern for the entire US. The Uniform Time Act of 1966 was enacted on April 12. It enforced that DST begin on the last Sunday of April and end on the last Sunday of October. A state could exempt itself from the act by passing a law. In 1972, the act was revised so if a state was in two or more time zones, it could exempt a part of the state from observing DST in order for the time to be uniform across the entire state. Another amendment in 1986 set the start date on the first Sunday in April. The Energy Policy Act of 2005 extended DST in the US starting in 2007. DST now starts on the second Sunday in March and ends of the first Sunday of November. Today, there’s a great deal of controversy for changing the clocks, especially for the Spring and Summer months. We have darker mornings and more time for the kids to play at night. I’ll leave those arguments for the experts. I’m just glad I know that when I look at the clock on my desk, I know what time it is the next town over.